Coming to the American Ballet Theater’s production of Onegin from a music and opera background, and a literary as well, the advantages of dance are immediately apparent. Physical expression of emotion is clear. Although the choreographic vocabulary is not extensive in the classic form, the opportunities for imaginative creation of scenes which exist only in the character's heads are abundant. 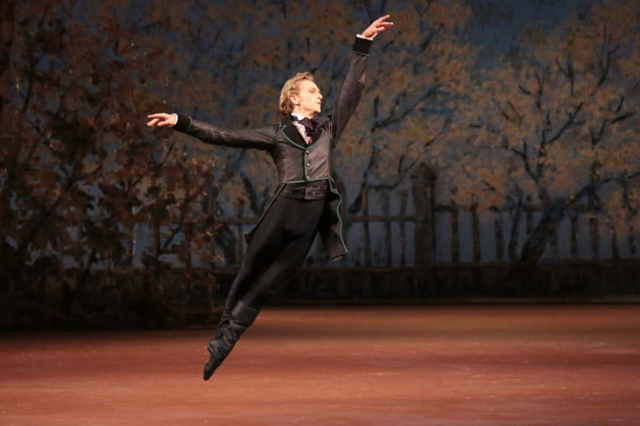 David Hallberg, returning from a serious injury, dances Onegin. Hee Seo is a fragile but firm Tatiana. The letter scene, missing the delicious Tchaikovsky music here, is breathtaking. Onegin is imagined by Tatiana behind a mirror. 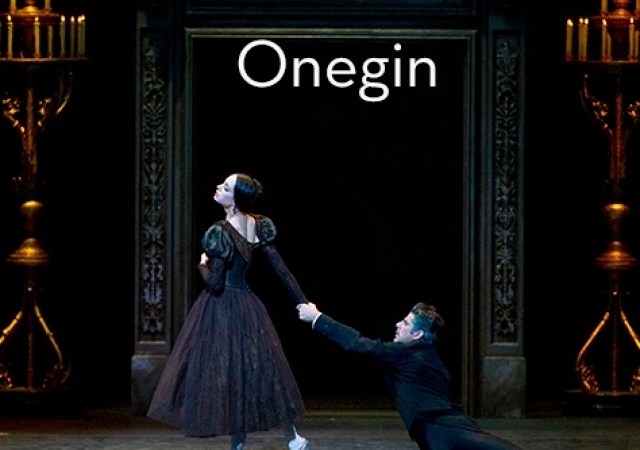 All the feeling that she has poured into her letter is now danced to the actual presence of the absent Onegin. The orchestra plays Tchaikovsky, but there are only glimpses of the Onegin music. Instead choreographer John Cranko has set the dance to a pastiche of the composer’s other music. Always the dramatists who take the poem on are compelled to make Onegin at the least insensitive. If we haven’t read the poem, we don’t know that he has freed his serfs and is a well-read man whose library is filled with books of poetry, history and art. The corps de ballet is exciting. Out dancing in the woods at one moment we see them fly by, leaping across the stage and back again, a whirl of legs and arms and flying skirts. At a ball, they capture Pushkin: laughter, curtsy, bow, mazurka, gallop, and waltz. After the ballroom scene, in which Onegin reappears in Tatiana's life, the push and pull of desire is danced in the most powerful moments of the evening. Tatiana and Onegin seem bound by an elastic chord, pulling apart from each other and thrust back again, in multiple positions, always returning and then pushing back. We may know the outcome, but the rush of feelings in this dance leaves us proud of a woman who will do her duty and keep her vows and yet is saddened by the loss of love. The sets are marvelous. Yes, we have the white birches which every designer has decided signify Russia. Tatiana's country home, indicated by full columns stage right and a suggestive wall on the left, is comfortable and pleasing. A wonderfully domed ceiling filled with stained glass is used for ballrooms. A smaller dome of vines and leaves suggests a lover’s nest. Magnificent candelabras descend for the final ballroom scene. The forest where the duel takes place is created by dark lighting amidst the birch trees. Taking the place of two male ‘seconds’ during the duel, two female figures implore the duelists to stop their fight. In their touching huddled and then outstretched movements to and from the characters, the urgency of their request is dramatically conveyed. While you miss the themes of Tchaikovsky’s take on the drama, if you put aside the often bland musical choices made, this ballet version of the story is thrilling. One even imagines the last scene being projected during an opera version to give physical form to the final confrontation between Tatiana and Onegin.